William A. Hillison, Ph.D., CPA, CMA, is a Professor of Accounting at Florida State University, where he holds the Andersen Chair. His primary teaching duties include graduate and undergraduate auditing and systems courses. He is a member of the Florida Institute of Certified Public Accountants, American Accounting Association, and Institute of Management Accountants. 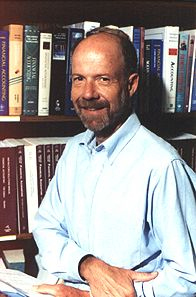 He has had articles published in many journals including the Journal of Accounting Research; the Journal of Accounting Literature; the Journal of Accounting Education; Cost and Management; The Internal Auditor; Advances in Accounting; the Journal of Accountancy; the CPA Journal; the Journal of Accounting, Auditing, and Finance; ABACUS; and The Journal of Forecasting. Dr. Hillison coauthors CPA Review: Auditing and Auditing & Systems Exam Questions and Explanations.